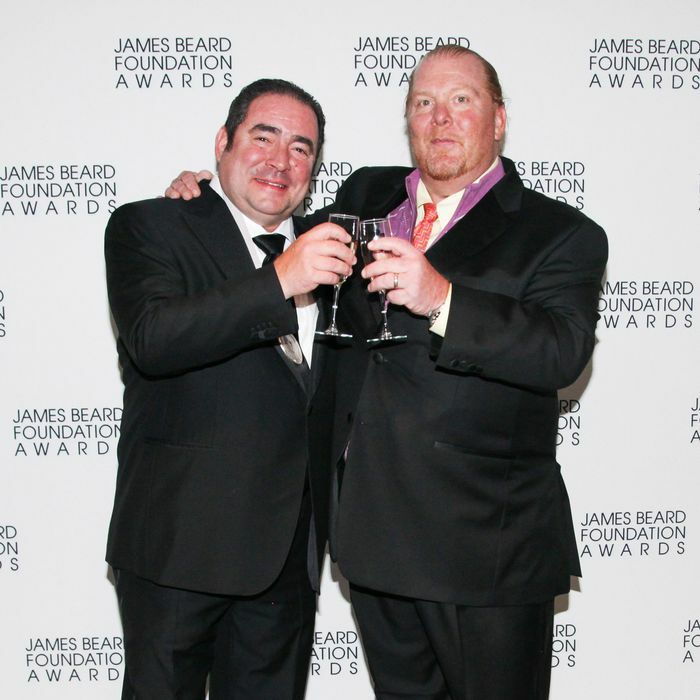 Part of the fun of the annual James Beard Foundation Awards gala — for the dining public, at least — is to see how chefs and other industry personnel clean up and present themselves on the red carpet. It’s really the only time of the year you can really play Mario Batali vs. Debi Mazar: Who Wore It Best. Last night, the illustrious Danny Bowien opted for a powder-blue Dries Van Noten suit and Air Jordans, while Maguy Le Coze of Le Bernardin rocked a fur stole with a beaded gown. We already know who won, but who got the best sartorial marks? Judge for yourself, straight ahead.